This first-aid kit is one of our best sellers. We have modified our original design based on the feedback of our clients. This first-aid kit is perfect for your car or in your house. This kit is a must for everyone, which is why we have priced this kit so LOW. If you were to buy the contents of this kit and put it together yourself it would cost over $45.00. 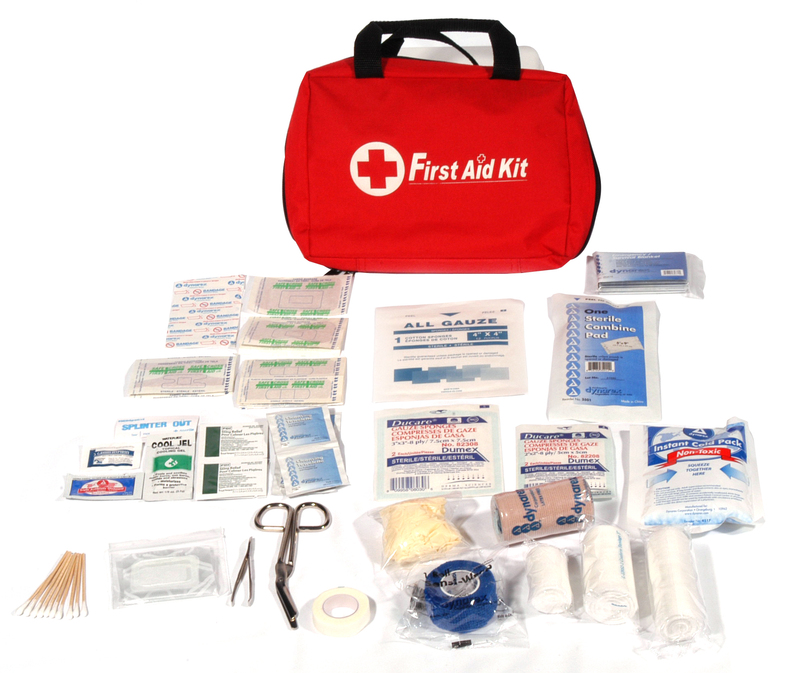 We are retailing this first-aid kit for $35.00 if you take a course with us you pay $26.25. This first-aid kit contains over 60 items. When you order this kit you will get a free Bio-Barrier face mask. This mask will be supplied inside the kit.